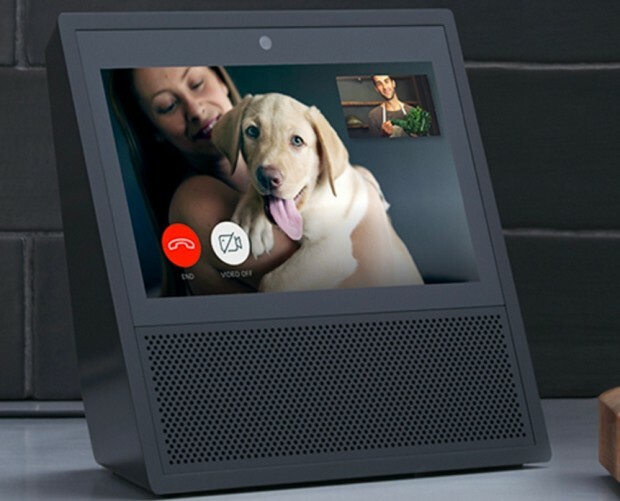 Amazon has unveiled four new Echo devices, five so-called ‘Echo companion’ devices, and a pair of smart home devices, including a microwave, as reported earlier this week. On the Echo smart speaker front, there’s new Echo Dot, Echo Plus, and Echo Show devices, as well as the arrival of Echo Auto – bringing Alexa to vehicles. 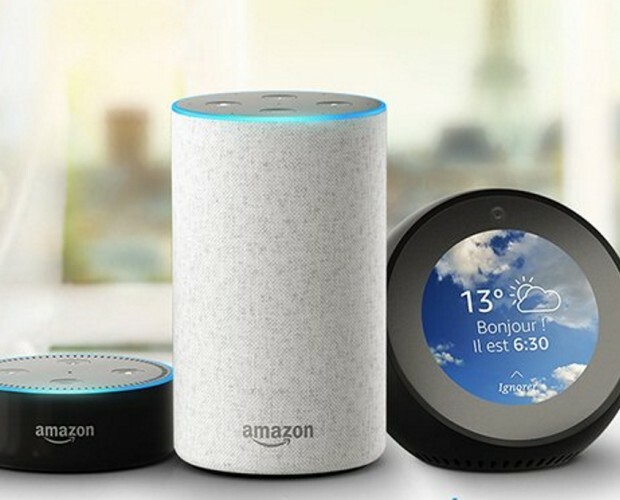 The Echo Dot comes with a new design and plays music louder with its more powerful, while the Echo Plus includes a built-in smart home hub alongside its new design and upgraded sound. 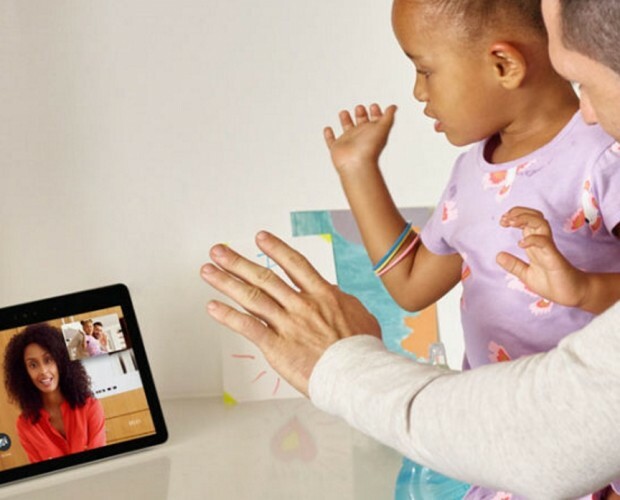 The Echo Show gets a new design, upgraded speaker, a 10-inch HD display, a built-in smart home hub, a two-way talk feature that works with Ring and August doorbell cameras, a ‘Cooking with Alexa’ feature, and integrations from Hulu, NBC, and Vevo. Bringing Alexa to your car, the Echo Auto features an eight-microphone array designed for in-car acoustics, so those in the car can be heard music, air conditioning, and road noise. It’s powered by the car’s 12V power outlet or USB, and connects to the stereo through a 3.5mm audio jack or Bluetooth connection. 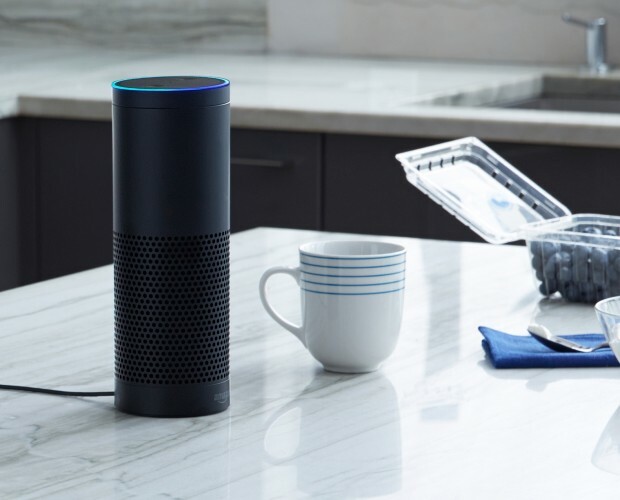 Amazon’s Echo companion devices include an Echo Wall Clock, featuring timers, alarms, reminders via a Bluetooth connection with an Echo device; the Echo Input, which enables lets people connect Alexa to their existing speaker through a 3.5mm audio cable or Bluetooth; the Echo Sub, a wireless subwoofer; the Echo Link, which connects high-fidelity stereo systems to stream music services; and the Echo Link Amp, featuring a 60W, two-channel built-in amplifier to stream high-fidelity music. 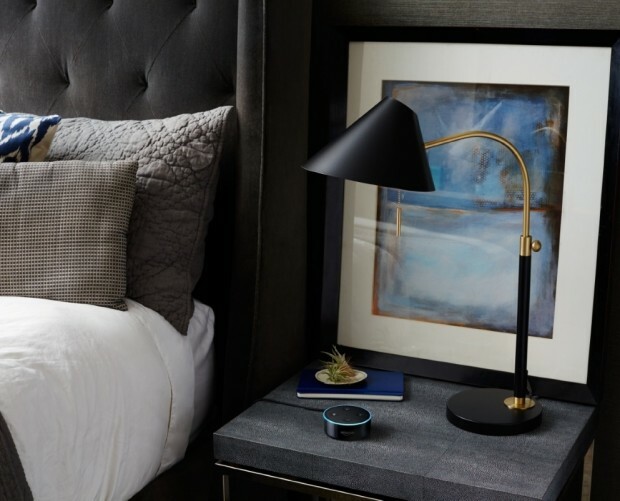 On the smart home front, Amazon has introduced a Smart Plug, which enables people to control their lights, fans, coffee makers, and more using their voice. Each plug is used to control an individual outlet. 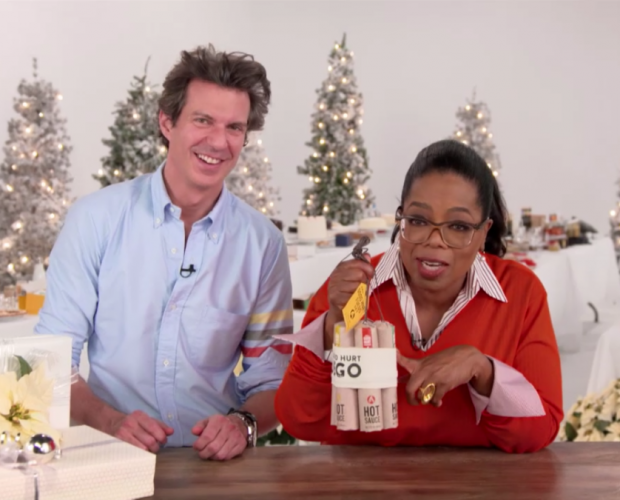 And, finally, the product everybody has been talking about. The AmazonBasics Microwave. By connecting to an Echo device, the user can ask Alexa to reheat, defrost, or microwave for a specific time and power level. And the microwave is integrated with Amazon Dash Replenishment which brings an Auto Popcorn Replenishment feature – because why not? The Echo Dot, Echo Plus, Echo Sub, and Amazon Smart Plug are all available for pre-order now and are set to start shipping next month. The AmazonBasics Microwave is also available to pre-order now but will begin shipping later in the year. The Echo Auto is available by invitation and set to start shipping later this year. Meanwhile, the Echo Wall Clock, Echo Input, and Echo Link will become available at some point later this year. And the Echo Link Amp will arrive in early 2019.